More than a decade ago, tabloids and research institutions exploded to the news of an exciting underwater discovery. In 2001 Pauline Zalitzki a marine engineer and her better half Paul Weinzweig found evidence of incredible manmade structures deep within the Atlantic ocean. Paul owned a Canadian company called Advanced Digital Communication (ADC) which was working in close association with the Cuban Government on a survey mission. It was one of the four firms probing the sea while searching for treasure-laden ships from Spanish colonial era. The exploration was being conducted along the coast of the Guanahacabibes Peninsula in the Pinar del Río Province of Cuba. Advanced Sonar equipment was being used by the team to study the Cuban waters when they noticed strange rocks and granite structures on the sea floor. The objects were symmetrical and geometrical stone shapes unlike what you would expect to find closely resembling remnants of an urban civilization. The search covered an area of 2 square kilometers with a depth of between 2000 feet and 2460 feet. For a closer examination, the team sent an underwater visual robot that re-recorded images of the structures in better resolution and clarity. The new pictures determined formations that were slightly pyramidal while others were circular, made of massive smooth stones which resembled hewn granite. Size of the pyramids reportedly measured approximately 8 feet by 10 feet in height and width. Some rocks were stacked upon each other while others were not and at much further distance. It was surprising for the researchers to see that stones resembling an urban complex could be sunk so deeply into the sea. How did a massive array of stones relocate to the floor of the sea was a mystery no one would solve. The ADC team did not want to come to any conclusions seeing how the images could have been misinterpreted. They were reluctant to agree that they could be remains of a sunken city without further investigation. Fragments of the site were sent to , a marine geologist who studied the pieces to conclude that the test results were very unusual. Findings suggest that such magnificent stonework would have taken 50,000 years or more to sink to such depths of the sea. “It was beyond the capability of cultures of that time to establish such complex structures” said Manuel Iturralde. “To explain these samples in a geological point of view is very hard” He added. 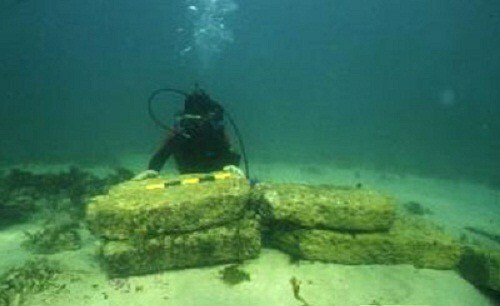 Soon, news agencies reported similarities between the recent discovery and the lost city of Atlantis. However, the ADC team trashed any such speculation and stated the discovery cannot be compared. “The story is a myth” said Zalitzki, “What we have found are most likely the remnants of a local culture”. The Cuban government lead by President Fidel Castro also became greatly involved in finding the truth behind the strange discovery along with National Geography Society and Cuba’s National Museum. A tremendous interest among the countries citizens and the media wanted to finally connect the dots and declare the discovery to be something ancient and magnificent. It has been more than ten years that the discovery was made. The publicity and enthusiasm about the mysterious deep sea city has faded from the media and tabloids. Research is now at a standstill and without additional data it appears all answers are clouded in uncertainty. 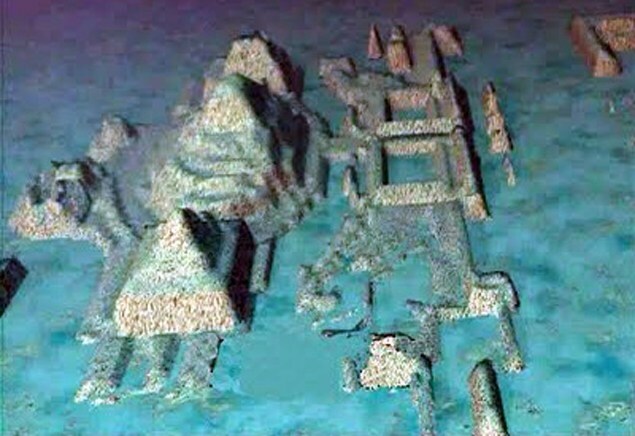 But the first sonar images of what was dubbed a lost city did create a tremendous impact on the Cuban government and her people. The world is always fascinated by the mystery of an ancient civilization, and for a time the sunken city of Cuba was one of the most bizarre. It still lies underwater, at peace in the oceans depths and is as puzzling as ever.